Description: A small evergreen plant plant growing in woods and shady areas. It can be easy to miss but it is very interesting to look at. It does not appear to be food for any animals or insects. 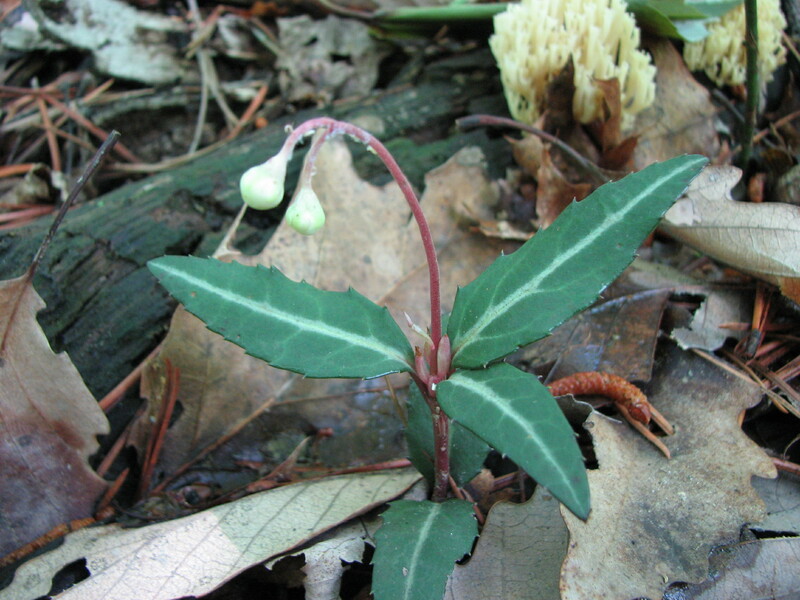 Notice that it is neither spotted, nor it is related to the plant called Wintergreen. Utilitarian Uses: As an evergreen plant, it may be useful as a bow drill socket lubricant.